For those of you who are from my generation, you may remember the Golden Eagle card. In the “old days”, you could get a year long pass for just $25 – which meant you could visit any part for a year for free! 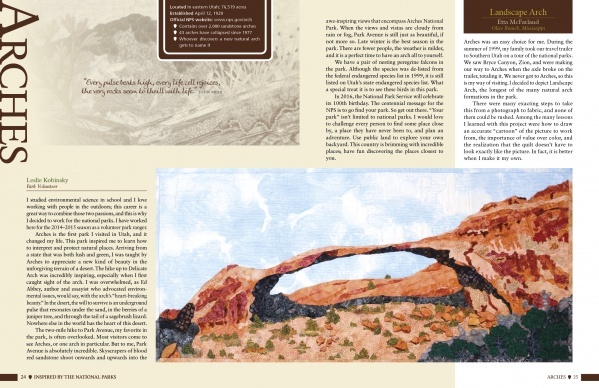 Now that pass is available for $80 – still a bargain – and the 59 National Parks are the inspiration behind Donna Marcinkowski De Soto’s new book. 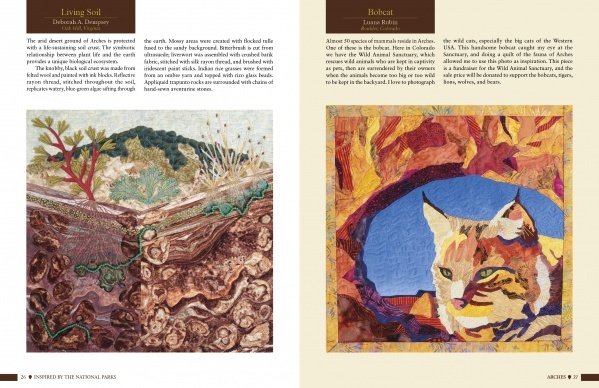 This hardcover coffee table book features 177 original art quilts inspired by scenes in our National parks. Information about the parks is included as well as interviews with 64 park rangers and other personnel. What a treasure for anyone that loves to travel and is interested in learning more about these hidden gems in our country! 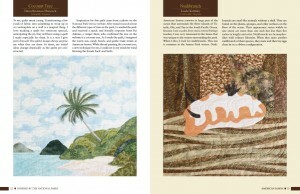 Why not order it now so the travelers that visit your shop can purchase it as a souvenir? Absolutely beautiful! This entry was posted in Books and tagged Donna Marcinkowski De Soto, National Parks by Penny Haren. Bookmark the permalink. 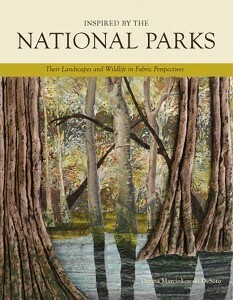 do you happen to know if Glacier National Park is in this book? Thanks for contacting us with your question. 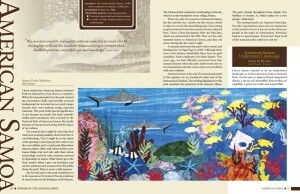 Glacier National Park and Glacier Bay are both in this book.